Sisters of Saint Joseph work in and support Joseph’s Corner, a Drug and Alcohol Services operated by the Westgate Deanery of the Melbourne Archdiocese. This service provides psychological counselling and support for all family members of persons who have a substance abuse problem. Josephite Sr Jeanne Dwyer is the coordinator of Joseph’s corner. The service is focused on providing individual, relationship, family and group psychological counselling to family and friends of people with drug and alcohol addictions. The Joseph’s Corner program encourages participants to re-establish interests and connections with their community. Joseph’s Corner l have the particular mission to work with and care for families and friends of the users by providing a service free of charge. 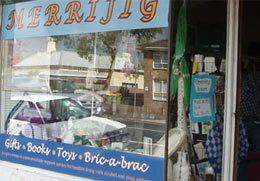 An associated work, the profits of which support Joseph’s corner, is Merrijig The Joseph’s Corner Shop.